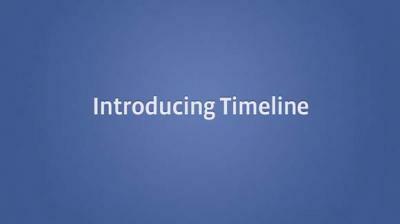 Curious to see what Facebook Timeline is all about? On New Year's Day you can count on a few traditions that take place across America: pork and sauerkraut cooking in the slow cooker, slightly insane people jumping into icy cold waters (also known as a polar plunge) and of course numerous people nursing off a hangover. With kraut in my belly, no hangover to be nursed and zero desire to take an actual plunge into Lake Erie, I decided I would start the New Year off with diving into the new Facebook Timeline. Mark Zuckerberg, creator of Facebook, gave web developers' access to the Timeline in September, including the developers of Epic WebStudios. So what have the Epic developers done with their Timeline since September 22? The guys have barely touched their Timeline, at most changing their cover photos and removing unwanted posts. When the long-overdue Facebook Timeline was launched for the public in December, most considered it an early Christmas present, I was (almost) ready to take the Timeline plunge and see what the guys at Epic were talking about. Facebook has yet to prompt me and make the change to the new Timeline. I decided to take the proactive approach and make the switch myself. Thankfully I made the switch on my own terms, before Facebook makes everyone's Timeline go live automatically, because creating one can become a little time consuming. Once users make the change to Timeline it will remain private for seven days, giving adequate time to remove unwanted posts, embarrassing photos and incriminating evidence of weekend fun. Unfamiliar with Timeline, I decided that removing the unwanted content would be the best place to start…three hours later I realized how many photos and inside jokes I would no longer have to explain to my boss and parents. 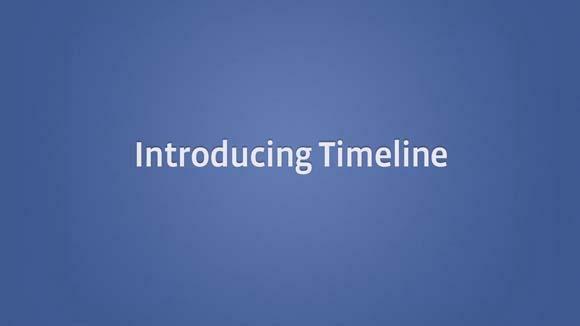 Even though no new information is being shared on your Facebook, the new Timeline is making it easier to access. Before, a friend would have to click over and over through posts to travel back in Facebook time, but now they can simply scroll down and view everything. If you don't want to entirely remove some of those photos, remember that you can always use the Privacy settings to control who can see what. Your current privacy settings will remain in place, unless you go through and change them yourself. Now that the removal of incriminating posts, photos, videos, and status updates was complete it was time to move on to new content: a blast from the past. With the three hours already invested in removing old content, I knew that what I chose would take just as long, if not longer. I was sucked into boxes of old photos for hours on New Year's Day, trying to find the ones that captured some of my favorite memories and milestones. Once I found enough photos to use throughout my Timeline, I was ready for phase two - make photos digital. Fast-forward to all of them sitting on my desktop and I was ready to start plugging them into Facebook. As I began to upload these photos and turn them into 'Life Events,' I realized that I should have uploaded them in chronological order. While Facebook does a great job arranging the photos that way in Timeline, they are not organized like so in the albums. After many feeble attempts to put my album in chronological order, I decided to leave it alone and keep pressing on with the rest of the Timeline transition. Hopefully, Facebook will make the drag and drop available again to better organize photos in Timeline. Facebook made creating Life Events easy by giving you prompts to use, such as your first kiss, a new tattoo, the birth of a child, and even the purchase of a new home. After finding a few flaws, again, Facebook – get it together, I decided to create my own custom Life Events, because they are MY life events. Overall it was pretty easy; I simply hovered the mouse over the line in the center of the page until it turned into a plus sign, and revealed the option to add a post. This hover feature works on most of Timeline when you are interested in editing a section. To view your progress, use the Activity Log. This tool was created to get the full, complete view of your Facebook action history. Like before, you can also check how others view your profile by clicking on the button next to the Activity Log. Then choose 'view as' to determine how you would like to view your site. Have you traveled anywhere outside of your home town? I've been fortunate to do a little bit of traveling and thought it was a great feature to use the Bing maps to track where I have been. Put your old vacation photos to use and post them among your now documented travels. You've already made Facebook your own just by creating a profile, but when transitioning over to Timeline you are given the ability to choose a banner style photo to give your profile a customized look. With photography as a hobby of mine, I chose to go with a fun and simple photo that I took. Choosing a cover photo is a great way to show your style and reflect your creativity. After all of that work to create an awesome Timeline—and believe me, it does take some time so take advantage of your seven days—now is a good time to do some more cleaning. To adjust who you see and how many posts they create on your Newsfeed, go to their profile and click the "Subscribed" button. You can change your subscriptions to "Only Important" updates or "All Updates," and you can also filter the types of posts you're interested in seeing: photos, life events, or status updates. You can also create lists and categorize your Facebook friends by Family, Close Friends, Acquaintances, and Co-workers, or if you're unsatisfied with the generic style, you can customize a list all your own. Curious to see what I have accomplished so far on my Timeline? I published my Timeline before my seven days were up so Erie Reader readers could see. (January 11), but I will continue to make changes and edits throughout. Check in on my progress throughout the next two weeks and be encouraged to create your own Timeline before Facebook does it while you're asleep.